Touraj, Daryaee. 2016. 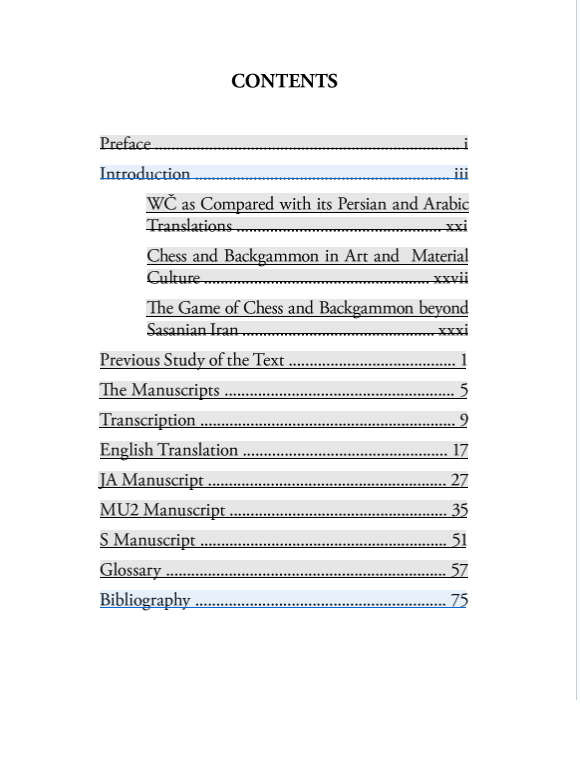 On the explanation of chess and backgammon: A Middle Persian text (Ancient Iran Series 2). UCI Jordan Center for Persian Studies. H&S Media. The book is an edition of the earliest text in Middle Persian on the rules and views of the games of chess and backgammon, reported to be from the time of Khusro Anushirvan in the 6th CE.